In our efforts to integrate the systems in our university, the UPLB Office of Student Affairs relies on SystemOne to authenticate UPLB students. When users login to our system, we verify their credentials with the SystemOne server before letting them in to our system. 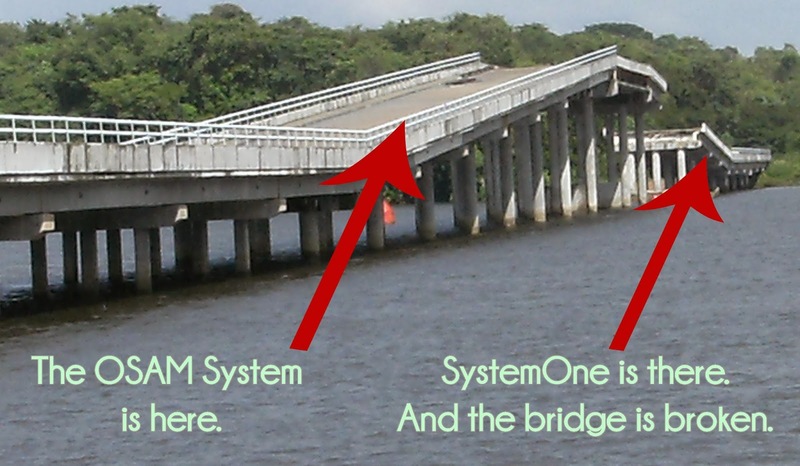 We rely on SystemOne so students need not memorize a different username and password to access OSAM. From time to time, SystemOne becomes unavailable for a variety of reasons and this cannot be avoided by OSA. We do not manage SystemOne nor the university network. 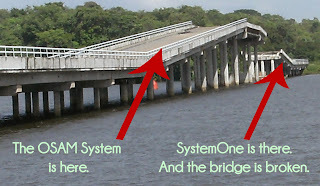 When SystemOne is down, users won't be able to login to our system using their SystemOne accounts. The broken bridge affects our operations but we can manage. When SystemOne is unavailable, they can use the Alternate Login link at the bottom of the login form. OrgsUP users can also login using their Facebook accounts if they linked their Facebook accounts with their OrgsUP accounts. This is not yet available in the OSAM System but the plans to globalize this is already underway. If all else fails, OSA can issue temporary OSAM accounts. Students should just proceed to OSA and bring their UPLB ID. OSAM accounts may be used by students to access OrgsUP or OSAM if they cannot login using their SystemOne account. When access to the system is urgently needed, we advise students to drop by OSA and request for an OSAM account. Unfortunately, all new users cannot use alternate login or login via Facebook. These two login procedures are only available to existing registered users of OrgsUP or OSAM with complete profiles. We treat security seriously and we cannot just grant users access to our system based on unverified Facebook profiles or email accounts. In the future, we project either a more stable server for SystemOne or the launching of the Student Academic Information System of the e-UP Project. Either way, OSA will rely on one of the services to authenticate the UPLB students.